from the City of Birmingham Choir! 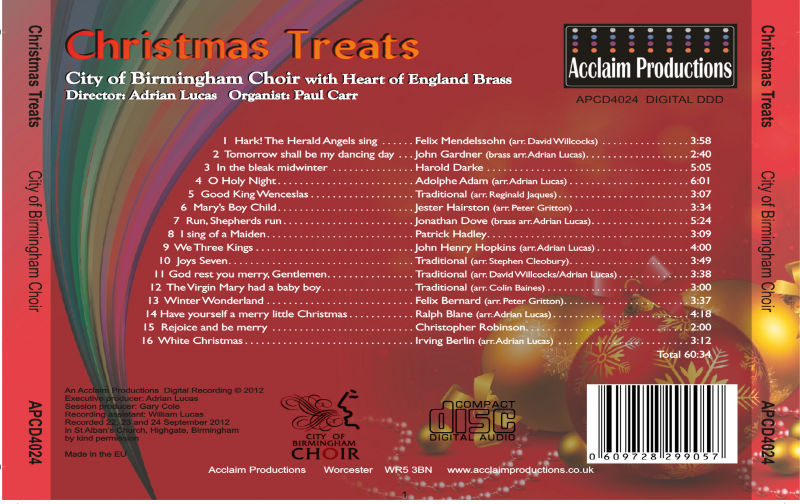 Recorded in 2012… carols and Christmas songs from the City of Birmingham Choir with the Heart of England Brass, conducted by Adrian Lucas. 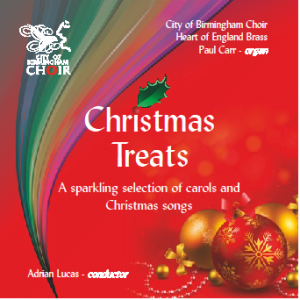 These tracks have been featured in our Christmas concerts at Birmingham Town Hall. With traditional, much-loved carols such as ‘In the Bleak Midwinter‘ and ‘We Three Kings‘ plus popular Christmas songs including ‘White Christmas’ and ‘Winter Wonderland’, this CD just has to be part of your festive celebrations! Please note that we cannot guarantee delivery in time for Christmas. In line with PayPal guidance, we will aim to dispatch within 7 days of order. Thank you for your custom.